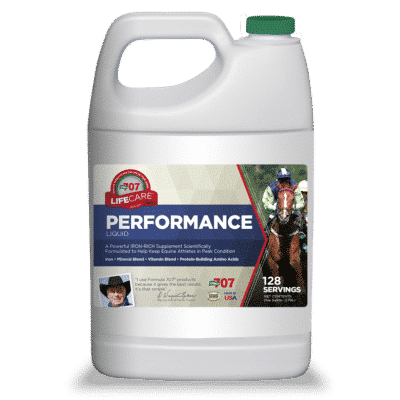 Provide hard-working performance horses the support they need to finish first. Iron proteinate is an easily-digested form of iron, which is essential for producing healthy red blood cells. Low cost per day; proteinated minerals deliver concentrated results. Contains methionine and lysine, protein-building amino acids. Yeast culture supports enhanced activity in the hind gut. Antioxidant vitamins C and E aid overall condition.